The drug is called Lingo, and it’s the most powerful narcotic Lenore has ever seen. This cheaply manufactured pill races straight for the brain’s language center, supercharging it so that even a dimwitted person can speak and read at 1,500 words per minute. It induces giddiness, confidence, and sexual euphoria—with a side effect of murderous rage. The drug has come to Quinsigamond, a fading industrial center in the heart of Massachusetts, and it’s going to tear this town apart. Lenore believes she can stop that from happening. A narcotics detective with a few addictions of her own—amphetamines and heavy metal, to name a couple—she loves nothing more than her gun, until she meets Dr. Frederick Woo, the linguist assisting her on the case. Together they can stop the drug—if it doesn’t take hold of them first. 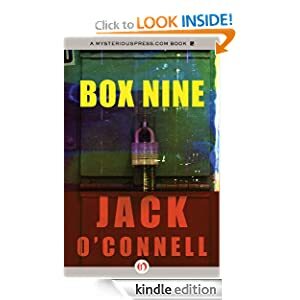 Box Nine: Quinsigamond Series or to sample this book for FREE! -- Naomi Ash was born in New Orleans and raised by her mother, Patsy, a medium who schooled her young daughter in the parlor-trick chicanery of the trade. From Naomi recreating presences with table cloths to providing the voice of the dead by talking through a fan, their act is part theater, part magic, and a little too much playing with the letter of the law. Eventually they must beat a hasty—and forced—retreat from New Orleans, relocating to Train Line, New York. A sleepy village founded and inhabited by others with a spiritualist bent, Train Line is populated with card readers, table levitators, and crystal-shop owners. Low-rent “Psychic Faires” are held at the local Holiday Inn, and Patsy’s newest creation, “The Mother Galina Psychic Hour,” is on the local radio station. The town is a curious mix between old school “table rappers” and the New Age, and it is here that Naomi comes of age, learns the trade, and falls in love. But love is not only a many splendored thing—it can be dangerous as well. And for a young woman caught between fraud and truth, between the world of the living and the world of the dead, and between the secrets and lies of her youth, the past and present will come together in a rush of truth and consequence. 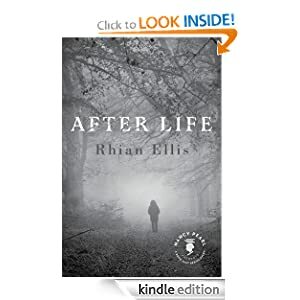 After Life or to sample this book for FREE! -- Helen is the epitome of evolutionary perfection. She is stunning to look at, highly intelligent, and just about every gene in her body is selfish. She has concluded that Darwin’s theory gives humans carte blanche to behave exactly as their natures drive them. If there’s no God, there’s no recourse… provided you don’t get caught. Ben is a Doctor who believes in serving others. When he loses his wife in an HIV drug trial his world is torn apart. Several months after her death, he makes a discovery that causes him to begin an investigation into the trial. As he digs deeper, he attracts the attention of a shady security company. They send Helen to make sure a deadly secret stays safe forever. A game of cat and mouse ensues that takes Ben and Helen from Brighton to Africa, Europe and the US. As their destinies become intractably entwined, both are forced to question their understanding of morality, and they must act quickly to avoid their confrontation evolving into a potential catastrophe. 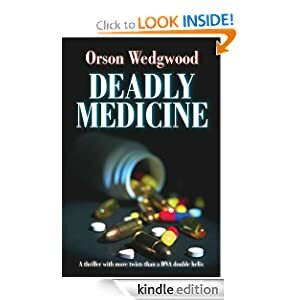 Deadly Medicine or to sample this book for FREE!